Goodreads: Love was given to all, except herself . . . Kit Brennan has always been the most grounded of her sisters. A Catholic school English teacher for seventeen years and a constant giver, her decisions have been sound—just not very satisfying. Her fortieth birthday is right around the corner, causing Kit to consider some wilder notions, like skipping right past the love and marriage to raising a child all by herself . . . A girls’ weekend away is just the reprieve Kit needs from school, Mr. Wrongs, and life-changing decisions. It’s there that she meets a man who’s dangerous; a man who challenges who she thought she was, or rathershould be. Kit wants to indulge herself this once, but with one of her students in crisis and the weight of her family’s burdens weighing heavy on her heart, Kit isn’t sure if now is the time to let her own desires take flight . . .
Kritters Thoughts: Kit Brennan is in the middle of the Brennan family, a fraternal twin who stayed close to home and always played the good girl card. This Brennan sister book focuses on her as she has broken up with her long term love, Richard and is turning 40 as a single woman and how she wants her life to change after this monumental birthday. The book also continues the story in the background of big sister, Meg and her husband Jack and their strained relationship and Tommy and Cass and their fight to parenthood. I loved that we were given a glimpse of these characters that took more of a center stage in the previous book. Kit was a fantastic character with a great story. She is a teacher and the reader is taken inside her classroom and the lives of one of her students and her mother and step-father. Their storyline is amazing, I loved how the book weaved through Kit's storyline and the student's storyline, it was seamless and I felt like everything was true to her character. 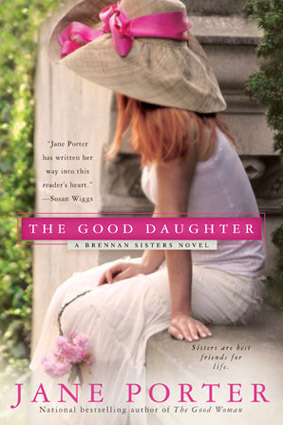 Another Brennan sisters novel and even though I wasn't completely in love with the first one, The Good Woman, but I definitely was excited to revisit this family through the eyes of a different Brennan sister. My hope is that there are many more to come with this family, I want to know more and more about them. New to me as well. Thanks for the post. So far the second was better than the second - made me even more excited for the next one!